Halloween has come and gone for another year but the horror doesn't stop there. 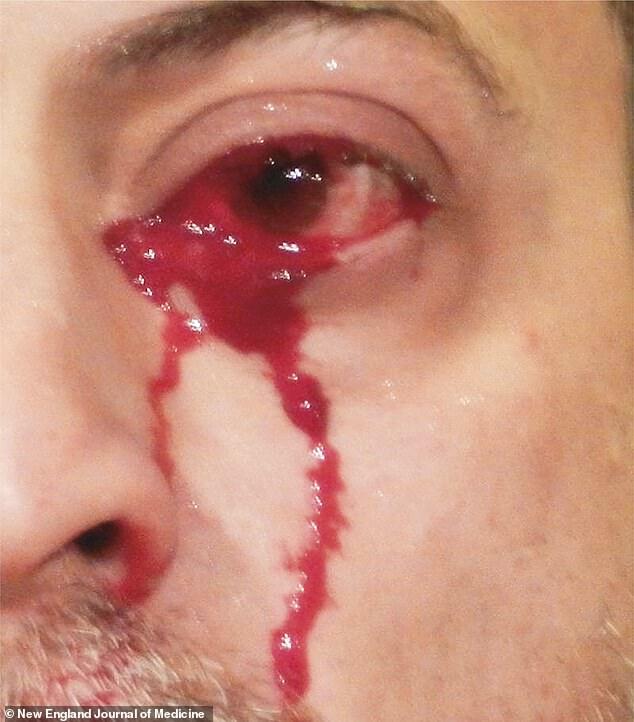 Doctors in Italy have revealed the case of a man who went to hospital because he was crying blood from both eyes. The man, who is not named, had not injured his face and wasn't in any pain but blood had suddenly started leaking from his eyes. After close examination, medics discovered he had haemolacria, a rare condition which causes people to produce tears containing blood. The man's bleeding happened two hours before he made it to the hospital and only lasting for a few minutes. However, it started again while he was in the waiting room. Medical examinations revealed the man had non-cancerous tumours underneath his eyelids. The man is believed to have visited a hospital in the Italian city of Messina, in the north-east of Sicily. His peculiarly gruesome case was reported in the New England Journal of Medicine. When he arrived at the hospital, he couldn't explain why his eyes might be bleeding, as he hadn't injured either eye, nose or any other part of his head. The bleeding had never happened to him before, and he didn't suffer from nosebleeds, bleeding gums or easy bruising. He was already taking medication for high blood pressure and, although his blood pressure was normal in the hospital, it was high in his eyes, tests showed. Doctors realised the source of his bleeding was non-cancerous tumours beneath each of his eyelids – called haemangiomas. These are extra growths made of blood vessel cells, which are commonly seen on the skin of children and are sometimes known as strawberry marks. The man was given eye drops containing timolol, which are used to treat glaucoma and reduce pressure in the eyes. After he was treated with the drops, he did not report another incident of tears of blood for a year, which is when he went back to the hospital for a check-up. Crying blood has been reported in medical journals in the past and has various different causes. It can occur as a result of infection, injury, swelling, tumours or as a side effect of nosebleeds. One 56-year-old woman suffered the phenomenon after pinching her nose for two hours to try and stem a bleeding nose. In the case reported in the British Journal of Opthamology in 2003, the woman pinching her nose had caused the blood to flow backwards into the eyes and leak out. The blood was soaked up with a sponge until the nosebleed stopped and she made an 'uneventful' recovery.